The BIG EAST has taken step after step forward ever since the renovated league revved up in 2013. It was only fitting that the main reason for the conference’s rise to the top of the nation in 2016 – the success of Jay Wright’s Villanova Wildcats – was what capped off a historic year. The reigning national champions and top team in the country used its stifling defense and late-game execution to pull away from No. 10 Creighton, 80-70, in Omaha on Saturday. Dating back to last year, Villanova has now won a program-record 20 straight games and with the victory, Wright’s program completed the calendar year at 38-3. In the most difficult road test that BIG EAST teams will see this season, having to go to Creighton in front of a crowd of 18,000 fans game in and game out, the Wildcats were not phased. Considering the losses of Ryan Arcidiacono and Daniel Ochefu from last season, the knee injury to Phil Booth this season, and the ineligibility of hyped-up freshman big man Omari Spellman, what the Wildcats continue to do is a testament to Wright and the “it” factor this program has grown over the years. 1. Remember this day as the one that Jalen Brunson raised his game to a new level. The sophomore point guard played the best game of his Villanova career thus far, putting up 27 points on 10-of-14 shooting, including five three-pointers. On a day when Josh Hart scored 18 points and 10 rebounds but did compile six turnovers, the importance of point guard play in a tough road atmosphere became all that much more important. Brunson was unafraid in the win. His poise should be no surprise because he accepted his role last season on a national championship team. But to not only be a floor general but score the way he did today deserves much credit. The Wildcats’ plan at point guard for Brunson to learn from Ryan Arcidiacono has worked perfectly. 2. It was strength against strength as Creighton carried in a 44.5 percent mark from three-point range, the best in the country. Villanova countered with a the best three-point defense in the country, only allowing teams to shoot 28 percent from deep. Great defense beat great offense, as Creighton was held to 6-of-24 (25%) from three-point range. Creighton leading scorer Marcus Foster put up 22 points, but it took 20 shots from the field to do so and he finished just 2-of-11 from three. Mikal Bridges was on point in guarding Creighton’s wings and Villanova made a conscious effort to do as much as possible to keep the Bluejays from scoring in transition. 3. Make no mistake about it. Creighton can hit you with a scoring outburst at any given moment. The Bluejays are capable of a deep run in March. Why? For me, it goes beyond the point guard play of Watson and their perimeter game. They have an elite center, and he was a problem for an undersized Villanova team. Justin Patton is going to go at it with St. John’s Shamorie Ponds for BIG EAST Rookie of the Year. Patton was the key to Creighton pulling back to even in the second half. Shooting 9-of-12 from the field and finishing with 18 points and eight boards, Patton is a problem. In the end, that “it” factor that Villanova has had came through. The Wildcats know how to dig deep with stops, and their late-game execution was flat-out better than Creighton’s down the stretch. It all starts with defense, which led the ‘Cats to finishing on a 14-4 run in the final 4:48 of the game. 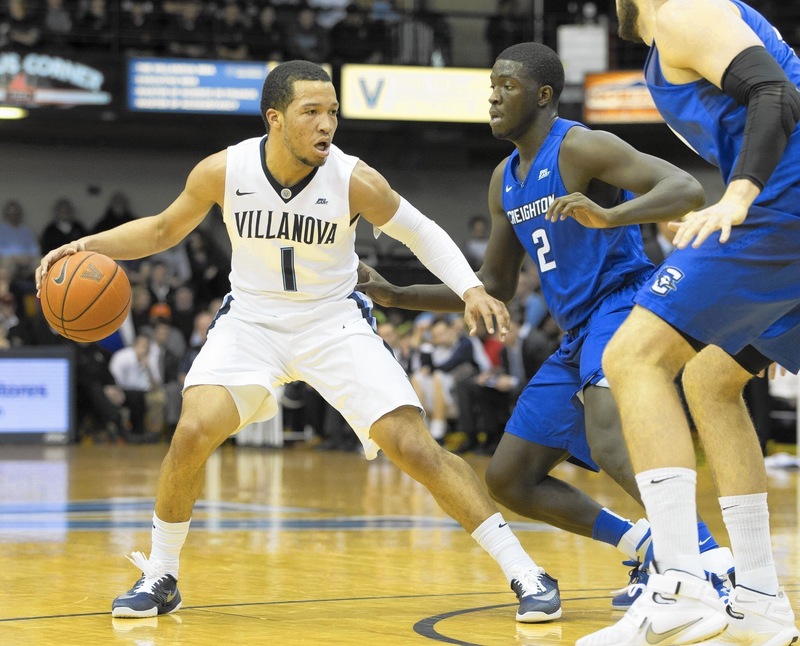 Villanova may stumble in conference play. It happens to everybody. But while the consensus was that Duke or Kentucky could be the clear No. 1 this season, it’s not either of them. Right now, there is a clear favorite for the title – Villanova. They may not be getting that kind of respect, but they certainly deserve it. Elsewhere in the conference, No. 17 Xavier grinded out an 81-76 win at Georgetown on Saturday behind sophomore Edmond Sumner’s career-high 28 points on his birthday. My biggest takeaway? Rebounding. You would think Georgetown could find an edge down low with Bradley Hayes and Jessie Govan. On Saturday, it was the Musketeers who held a 42-36 advantage and outscored the Hoyas in second-chance points, 18-9. I asked Chris Mack on the BIG EAST Coaches Teleconference earlier this week about how his team is able to stand at the top of the conference in rebounding even after they lost Jalen Reynolds and James Farr from a year ago. That answer right there is why Xavier has been a perfect addition to the BIG EAST since day one. There are some good match-ups on the New Year’s Day slate, but one that is must-see is Marquette – Seton Hall at the Prudential Center (4:30 pm ET, TV: FS1). Both teams are NCAA Tournament contenders, with the Pirates looking to bounce back from a road loss to Creighton and the Golden Eagles coming off a win over Georgetown. Marquette has spread teams out this year, ranking second in the BIG EAST with a 40.5 percent mark from three-point range. The good news for Seton Hall? The Pirates held Creighton to 5-of-16 shooting from beyond the arc and that serves as a good prep for Sunday’s game. The Pirates are third in the league at 30.6 percent in three-point defense. The biggest match-up to watch is Luke Fischer guarding Angel Delgado. Last year, Marquette had no answer for Seton Hall’s big man. In two meetings, the Pirates’ star put up a combined 30 points and 24 rebounds. I would expect the Golden Eagles, like Creighton, to attempt to double-team Delgado. Whether that works or not, we shall see. The Pirates are 27-5 in Delgado’s career when he records a double-double.